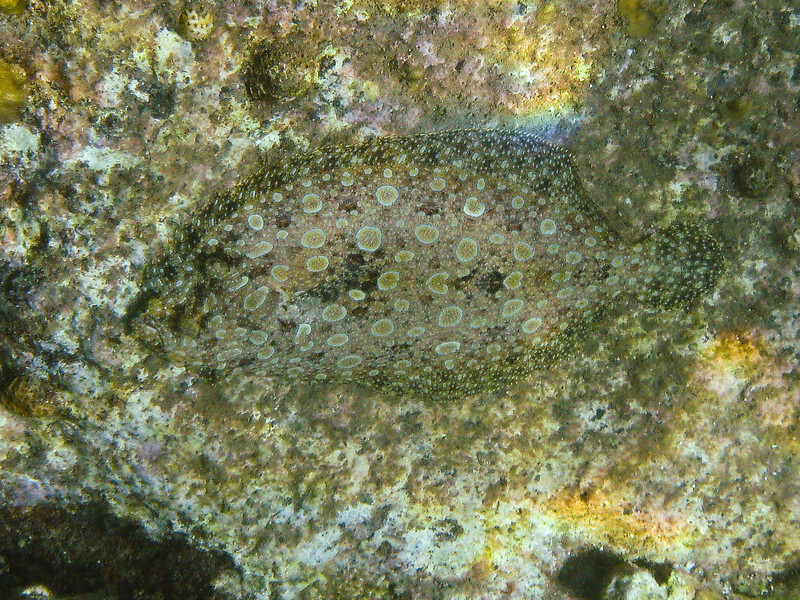 Flounders are masters of camouflage. If this picture were not sharpened and as well cropped, you would have a very hard time spotting this fish. Be sure to check out the next picture, where this flounder moves.